As a lost, confused young man plays the martyr on Twitter timelines, Royce White's chance to construct a sustainable professional basketball career slips away. He's chasing cheers on the court for the Houston Rockets, but they haven't found him deserving of playing time. So, White started to lash out, search for his stardom in cyberspace, and it's turned a combustible partnership into an embarrassing public spectacle. White has left the Rockets, and there's no telling when he'll return. Before long, White will lose the platform that he so desperately wants to advocate for mental illness. He's fighting a noble fight, with the most noble of intentions, and perhaps someday he can be remembered as a trailblazer on the issue of anxiety disorders. Yet now, this can't be his crusade, his burden. It's too much. People have tried to tell him this. 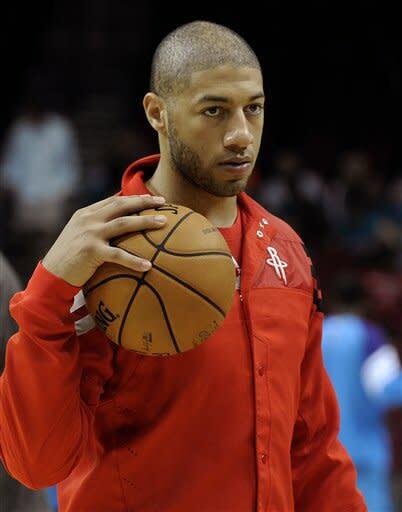 Royce White needs to save himself and save his basketball career. Without the NBA, his desire to bring awareness – to be a champion for change – will come to an unapologetic and abrupt end. As White turns this organization into his betrayers, turns himself into a martyr of injustice, he should be preparing himself for the end of his NBA career. This is professional sports, and the cold truth is this: So far, he isn't worth the trouble. So far, he was a waste of a draft pick at No. 16, a waste of the time and care invested in him. Maybe that's hard for him to hear, but it's true – and only he can change it. This isn't a dismissal of mental illness. This isn't a belittling of his struggle. This is simply a fact. As he rails against the Rockets' insistence that he meet with one of their doctors when he's failing to honor his contract to show up for practices and games, he's losing sight that this is the one organization that's invested in his mental health and development as a player. If Houston gives up on him, White will struggle to find another team willing to make even close to the commitment – if any at all. White has turned down NBA D-League assignments, missed practices and conditioning workouts and tried to convince Rockets officials that his anxiety order would be much, much better if they would simply play him in games. This isn't a negotiation, and never will be. Houston redid White's contract so it could pay for White's RVs and car services on trips, because of his fear of flying. The Rockets have let him come and go this season without fining him. They owe him that patience and understanding, but they don't owe him playing time. It's earned in the NBA, the way three Houston rookies are trying to earn it. If it was easier for White to manage his anxiety disorder when he was the star at Iowa State, well, that isn't the Rockets' problem. There's no leveraging an anxiety disorder to get out of a D-League demotion and onto the NBA floor. When meetings with Rockets coaches and officials couldn't get White the minutes he wanted, when a demotion to Rio Grande and the bus trips of the minors had been broached, White stopped showing up to the team's facility for practices and games last week. Maybe it was a coincidence, but White is losing the benefit of the doubt. Metta World Peace and Delonte West had public bouts with mental illness and eventually confronted them in constructive, public ways. They tried to make a difference for people, but they also had proven themselves as NBA players. World Peace has lasted in the league because he understood this is a results business, and he's had to be even better than the next guy to survive so long with the issues that never went away. Right now, White hasn't played a minute in the NBA, and it's fair to wonder if he ever will. The Rockets believed it was a significant gamble to take White with the 16th pick, but considered him one of the top five talents in the class and were willing to be patient, to give him every possible support system and do the most dangerous thing a team can do in a locker room: allow there to be a separate set of rules for an athlete. White wanted separate transportation to get to training camp, and it was offered him. He didn't take it. The Rockets redid his contract and agreed to pay for the RV travel to bring him to selected games. They sent a vehicle to pick him up for the drive to training camp, and he didn't get into it. The list goes on and on, and it's November of his rookie season. Most teams in the NBA would never give White this kind of special treatment. "He isn't good enough – and I'm not sure anyone would be good enough – to have a completely different set of guidelines for him," one GM told me. "I would've already cut him." There are a lot of NBA owners and GMs who agree, and yet the Rockets think differently on White. In that way, he's fortunate. It is hard to have an NBA career, and it's even harder for him given the obstacles he must overcome. Everyone is rooting for this guy, especially the franchise that's getting ridiculed for drafting him, the general manager, Daryl Morey, who clearly has an angry owner over the entire spectacle. I don't know what it's like to live with White's anxiety disorder, and I don't pretend to know how he should feel about what's happened lately between him and the Rockets. Nevertheless, there are people close to him begging him to start cooperating with the Rockets again, because this is the best chance – the best commitment – a franchise will ever have in him as an NBA player. In the past 24 hours, White slowed down the Twitter rampage and started to fulfill some of his obligations to the Rockets, sources told Yahoo! Sports. That's something, anyway. This public platform matters to White, and he needs to understand that despite his protests, he is indeed a commodity. When the risk outweighs the reward on him, he's gone – and probably gone forever in the league. The NBA will never be played on his terms. 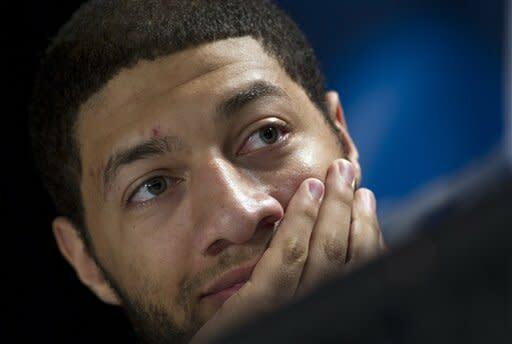 Royce White isn't good enough, and the sooner he realizes it, the sooner he understands only he can save himself right now, the sooner he can maybe salvage a career that's already slipping away. • Giants hero and NL MVP Buster Posey comparable to Willie Mays?